Don’t go to this bar. No, seriously. Don’t. We understand that a place like Hong Kong runs on hype. It runs on big press machines and long queues, and places to see and be seen. 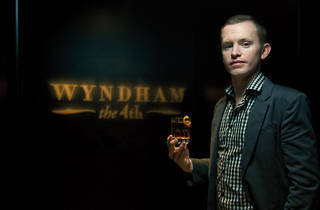 So we know that, despite our best efforts, Wyndham the 4th will soon gain plenty of attention and, with that, people will flock from the far corners of the SAR to score a seat at one of the new venue’s swanky striped sofas or clamour for a spot at the dimly-lit bar, waiting to be served a world-class cocktail by the award-winning bar manager and mixologist Tom Wood. Wyndham’s exterior is not much to admire. Located in a standard mid-sized office building right next to the far more glitzy dragon-i and Tazmania Ballroom, it’s a building that you’ll easily miss. (Which we did. Twice). However, once you head up the elevators and push through the heavy, dark front door, things change. You’re forced to soak up the swanky, sepia-toned ambience. As Frank Sinatra and Bossa Nova tunes play softly in the background, we try some of the bar’s highly-buzzed-about cocktails. Wood is Hong Kong’s 2012 Diageo Reserve World Class Bartender of the Year and his thoughtfully-curated collection of cocktails are prize-worthy. The Hanky Panky ($150) is a winning blend of gin and minty Fernet Branca. The Morning Glory Fizz ($120) delightfully swirls Johnnie Walker Black, absinthe, lemon and soda together and The Pink Lady ($120) -- a tanqueray, pomegranate and lemon concoction – was a favourite among high society ladies in the 1900s and will surely have the same affect even to this day. 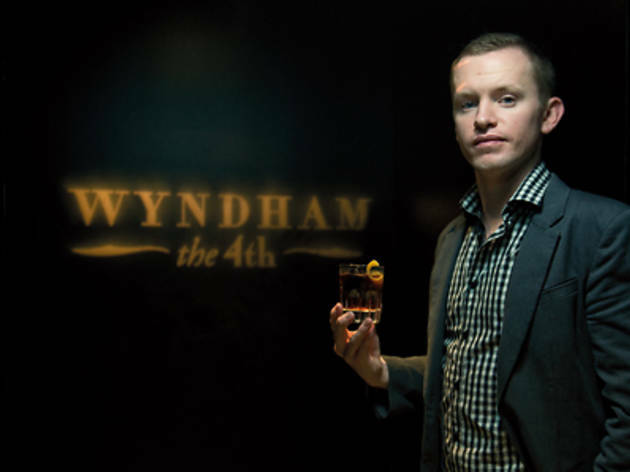 Wyndham the 4th goes to great lengths when it comes to stocking the bar with the finest selection of drinks. Little-seen beers like the Rogue Juniper Pale Ale ($80) and the Pipsqueak Cider ($80) can be found here, perfect for those seeking something a little more out of the box. 4/F, 48 Wyndham St, Central, 2523 8001, wyndham4th.hk.